Using HIGH Reps To Build Muscle? 3 Ways To Do It That Will Shatter ANY Muscle Growth Plateau! 3 ways to use HIGH reps to slap the muscle on you FAST. When I say "muscle building," I'm sure the first thing that jumps into your head is NOT high-rep training! Here's the thing...that can actually be a HUGE mistake! Just like heavy weights and low reps, the higher rep ranges can be a VERY valuable and even ESSENTIAL tool in your muscle-building arsenal. I've got 3 high-rep training techniques I want to share with you right now. 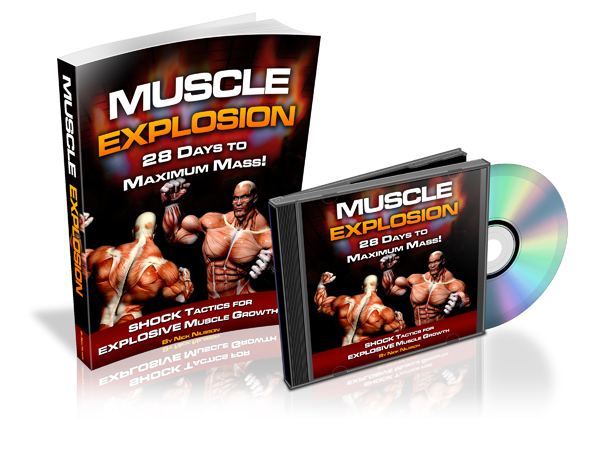 And I'm going to explain EXACTLY why each one is critical to your muscle-building success. Yep, I know this sounds absolutely CRAZY. How can light weight and very high reps do ANYTHING for building muscle? Here's a hint…it's not about resistance…it's about physiology. In order for a muscle to grow, first you've got to stimulate growth by overloading it with resistance - no argument there. But AFTER you've stimulated the growth, you've got to supply NUTRIENTS to the muscle cells to help them rebuild. What if your blood supply is poor to the trained muscle? Got a muscle group that doesn't pump up very easily? It's probably one of your hardest muscle groups to develop. Poor circulation means fewer nutrients get to that muscle for recovery and rebuilding, leading to reduced growth. THAT is where light weight and very high reps come into play. You see, VERY high reps have the effect of increasing capillarization in muscle tissue (simply defined, capillaries are the tiny blood vessels where blood cells release their nutrients to the rest of the cells in the body). Bottom line, you do a set of 100 reps and your body responds by increasing capillary density in the targeted muscle, which SETS THE STAGE for future muscle growth. The high reps sets don't directly CAUSE muscle growth (the resistance isn't high enough), they just improve blood circulation to the target muscle so when you DO train heavy and for lower reps, your target muscle gets more nutrients and can grow and recover more easily. Want to put this tip to work? Pick a "hard to pump" muscle and at the start of EVERY workout you do for that body part (e.g. every time you train biceps), do a single set of 100 reps with a VERY light weight exercise. Basically, pick an exercise and just CRANK out the reps. Do this EVERY time you train that body part and you soon will start to notice a difference in how easily that muscle pumps up and how well it grows. This sure sounds like an oxymoron. After all, how can you use moderate weights when you're performing high reps! As a matter of fact, you CAN. In fact, it's one of THE best training techniques you can use for building muscle FAST. It's a technique even elite power lifters (who normally train with VERY low reps) use to increase muscle mass. This moderate-weight, high-rep training has many of the same circulation benefits of the VERY high rep training but with the advantage of increased resistance, which will help directly stimulate muscle growth in addition to helping improve circulation. Using myself as an example, I used squats with this technique and worked up to performing a set of 40 reps with 315 lbs (believe me, THAT was fun…). I've also managed a set of 25 reps with 225 lbs and a set of 70 reps with 135 lbs on the bench press. This technique can be used with any exercise, really. You'll find some exercises work better for it than others but basically, you're taking a weight that is a bit lighter than your normal working weights and you're just focusing on cranking out the reps.
Like the previous technique, I find this is best done at the beginning of a workout when you're still fresh. You'll be able to get more reps out of the exercise that way. Some trainers like to use it as a back-off set (power lifters generally use it this way), doing the high-reps with moderate weight after finishing with the heavier stuff. 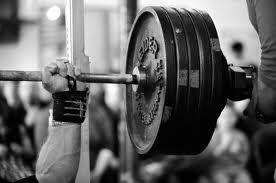 So next time you're about to do squats, put a moderate weight on the bar and just see how many reps you can crank out! Forget about what you're going to do on the rest of your sets - just get as MANY as you can. Your legs will be hit with a whole new muscle-building stimulus! This final tip brings us into an interesting area. High-rep partial training actually allows you to do high-rep training with HEAVY weight! In fact, you will be AMAZED at how much weight you can use with this style of training. We're going to be getting the benefits not only of the increased circulation that I mentioned with light-weight, high-rep training, but we're also going to get the substantial muscle-building benefits of using HEAVY weights at the same time. Another benefit…because you're using heavier-than-normal weights, you're going to be working your connective tissue very effectively as well. And, because you're using high-reps, you're going to be forcing a LOT of blood into that connective tissue, which is notorious for its normally poor blood supply. This helps immensely with strengthening and healing. High-rep partial training is fairly straightforward to perform. 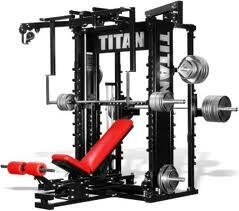 It's best done in a power rack, where it's easy to adjust the range of motion. For example, using bench press, you can set the safety rails to a few inches below the lockout position. Working in only that top range of motion (which is the strongest segment of the range of motion) means you can use a LOT more weight than you normally could for the full-range exercise. So you set up the bench, set up the rails and add some weight. Now you just perform as many partial reps as you can! To give you an idea of weight and reps, I've done sets of 50+ reps with 315 lbs on high-rep lockout partial bench press. High-rep partial training can be done at any point in your workout, as an addition to your "normal" training (1 or 2 sets) or as the complete bodypart workout on its own. Overall, I'm a big fan of high-rep training for building muscle, when PROPERLY used. These three techniques are VERY effective for not only setting the stage for muscle growth but actually building the muscle itself! If you're interested in an intense workout program that makes use of ALL of these techniques, definitely check out my latest book "Muscle Explosion! 28 Days To Maximum Mass." at this intensity week after week, but what a fantastic growth spurt method. Be sure to grab your FREE copy of Nick's 30-day "Dirty Little Secret Program for Building Muscle and Burning Fat FAST," available at 30 Day Dirty Little Secret for Building Muscle and Burning Fat Fast!